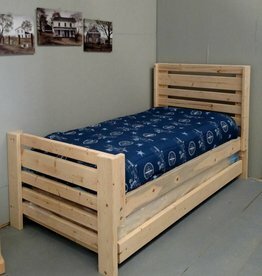 How much fun can a kid have with his own bed? 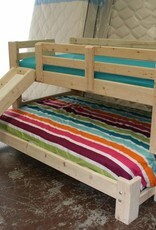 This mini-bunk w/ slide finds that answer! 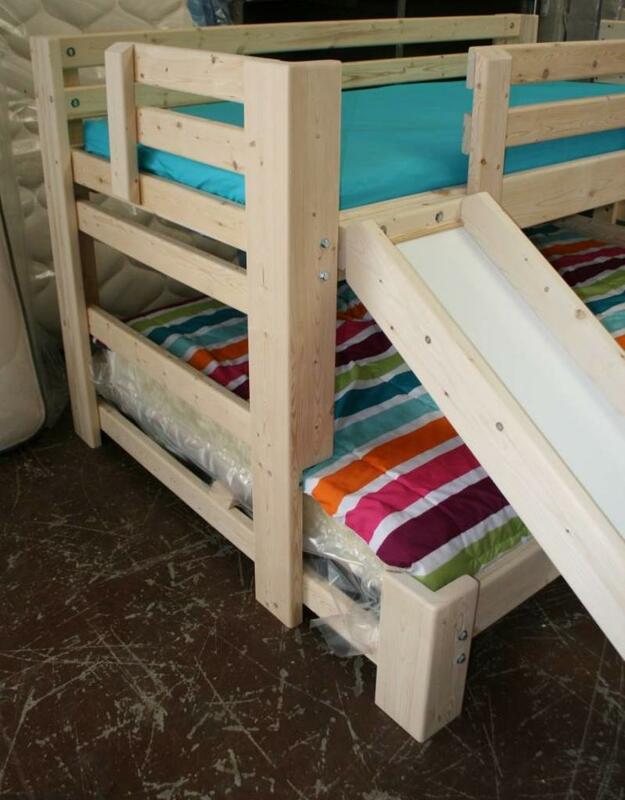 Choose from twin over twin or twin over full size depending on your bedroom needs. 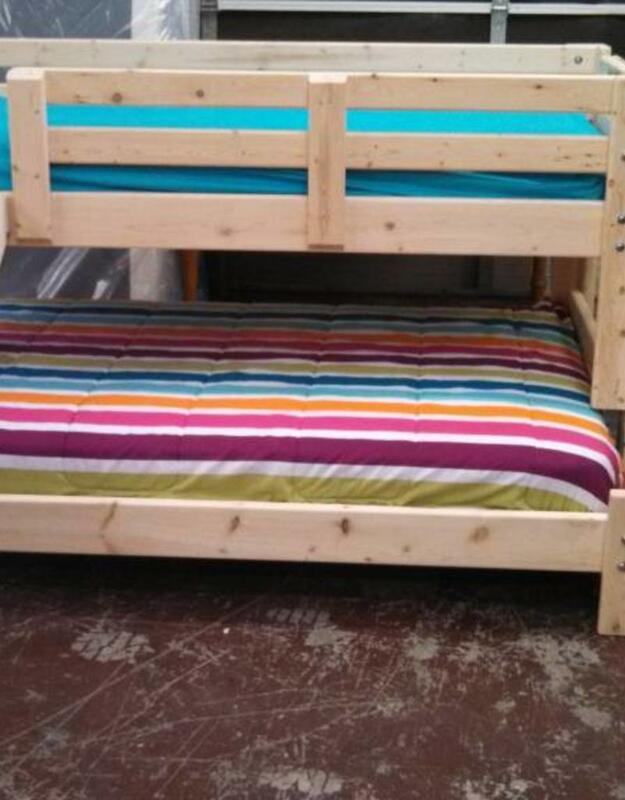 This bed is designed for ages 3-7. 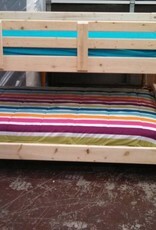 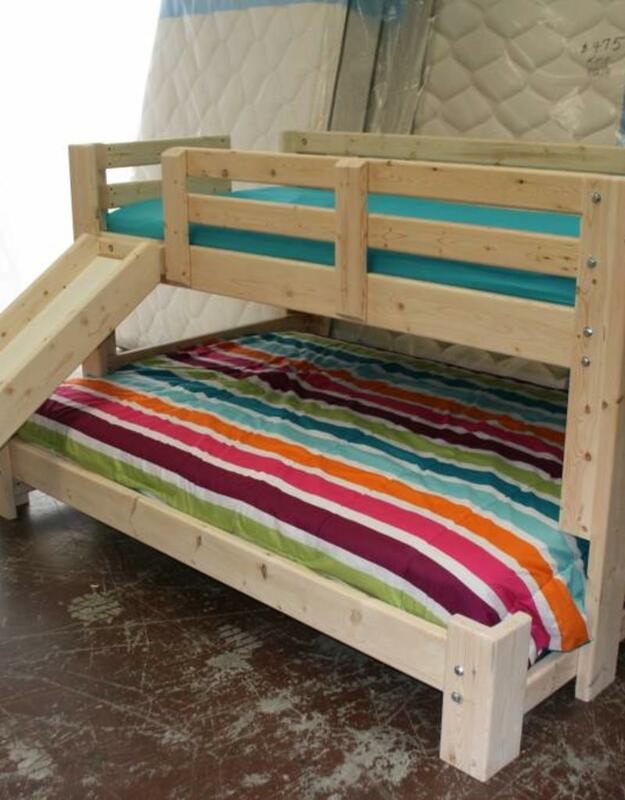 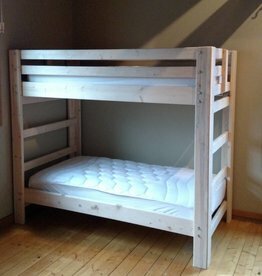 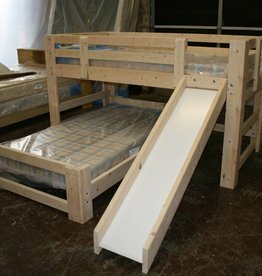 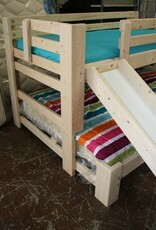 Slatted base mattress support with 300 lb weight capacity per level so parents can lay down too!